The all-electric e-tron from auto giant Audi set to make its debut on the 17th of September in San Francisco has now be announced by Audi as being the first to launch with the integrated toll payment technology built into its system which will allow for drivers to seamlessly access select toll roads in the U.S. and in Canada while making communications and interaction with the environment with Audi's vehicle-to-infrastructure (V2I) technology. 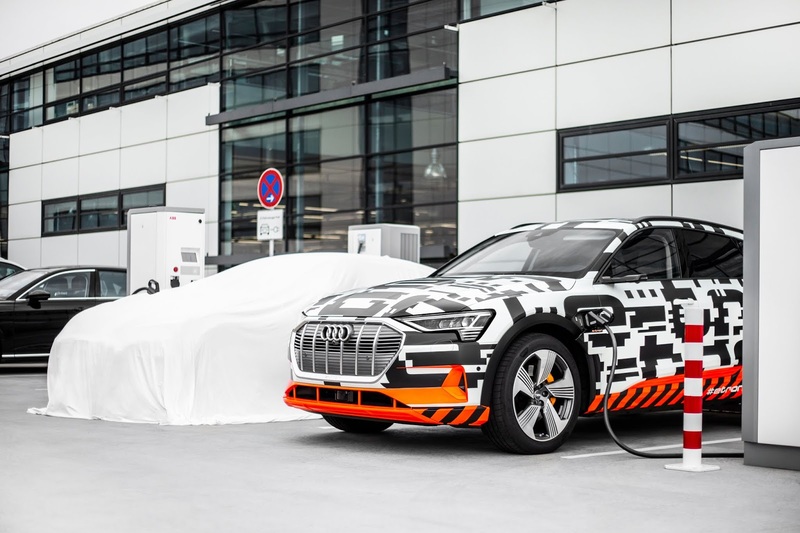 Audi's Integrated Toll Module (ITM) is a toll transponder built into the e-tron's rear mirror counting as one of the many digital tools what Audi is packing with the e-tron to let owners go all-electric without stress. The mirror based toll-payment solution coming with this vehicle will provide convenient access to toll roads across the U.S. and Canada while also helping to eliminate windscreen clutter and the need to handle multiple toll accounts which can prove quite jam-packed and unnecessary. e-tron drivers will be able to tune module settings through the vehicle’s MMI with several options available including turning the ITM system on and off and changing the occupant settings for HOV/HOT lanes. In two days time, We'll get to know other features and specs of the e-tron as Audi officially unveils the car with additional info including pricing and reservation methods set to come on the date. The 5 passenger holding mid-sized e-tron SUV is expected to delivered to showrooms starting from next year and is the first part of 3 battery-electric vehicles Audi plans to debut by the year 2020 as it anticipates 30% of its customers in the U.S. going electric by 2025.